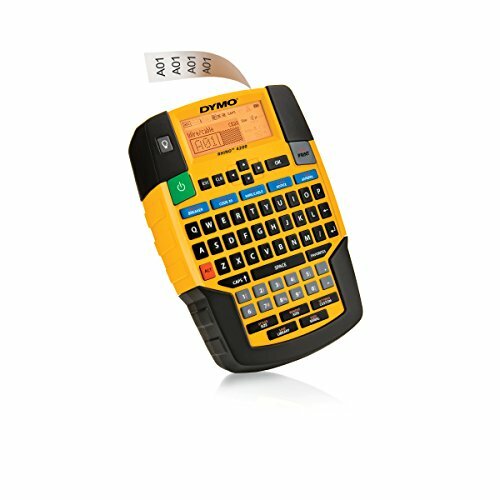 With its familiar QWERTY keyboard and library of over 150 symbols and terms for electrical, pro AV/security and facilities management, the DYMO Rhino Industrial 4200 Label Maker gets industrial labeling jobs done fast and done right. “Hot Key” shortcuts enable you to quickly create and format wire/cable wraps, flags, fixed-length labels and more, while a “Favorites” key provides single-key access to your most commonly used labels, symbols and terms. With the Rhino 4200, you can print labels up to 3/4" wide in flexible nylon, permanent polyester and durable vinyl materials – plus directly onto heat-shrink tubes. Integrated rubber bumpers help prevent damage from on-the-job drops and falls.